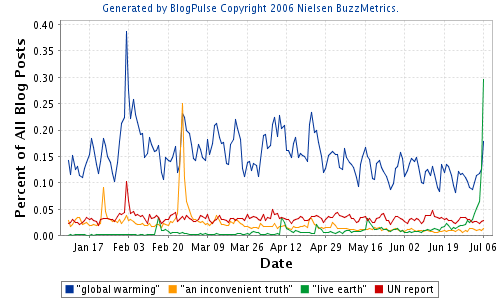 As a percentage measure, mentions of global warming are declining. Will the Live Earth event bolster chatter? I'll certainly be watching Smashing Pumpkins on this chanel.